The project seeks that citizens return to look at the sky and that they awaken their interest in astronomy. 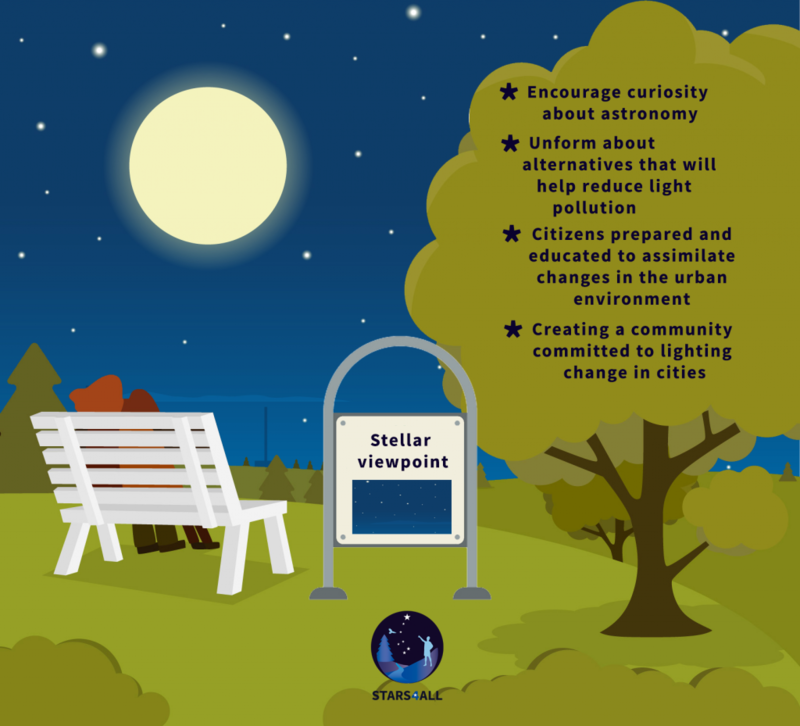 With sufficient information and paying attention to the low visibility of the stars at night, the aim is to create awareness about the adverse effects of light pollution and to form a community committed to the change to responsible lighting in the cities. This initiative would educate and prepare the population to assimilate the changes in the urban environment in order to reduce this environmental problem. 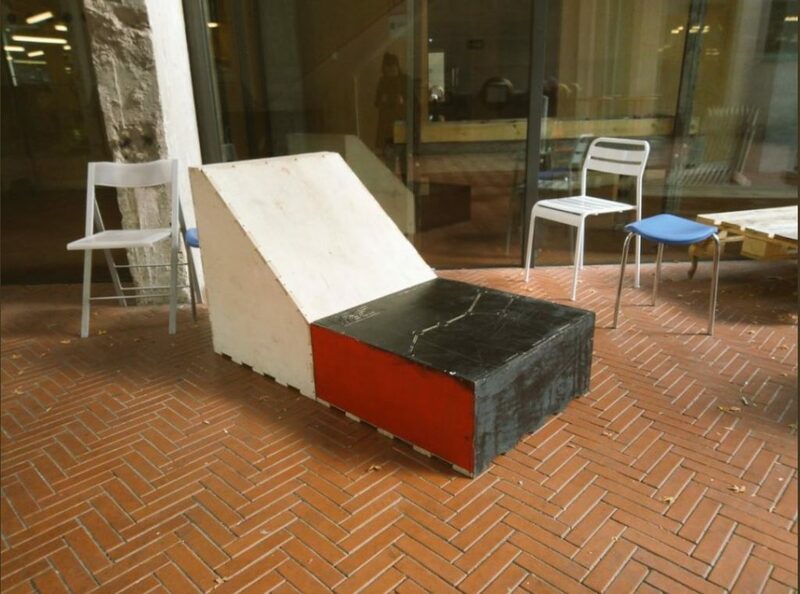 To achieve these objectives, urban stellar viewpoints located in strategic locations in cities will be designed, with adequate urban furniture that invites users to look at the stars with comfort. Likewise, a series of informative panels will be installed with informative data that will help in locating the most visible constellations and information on light pollution presented in an attractive and concise manner. These panels seek to stimulate curiosity about our galaxy, raise awareness about the negative effects of this environmental problem and the need to seek solutions.